On April 27, 2017, the National Cotton Council announced its selections for the Emerging Leaders Program class of 2017-18. The program was launched in 2012 to provide participants with a greater understanding of the cotton industry, as well as the operations of the National Cotton Council (NCC). According to the NCC, the program also exemplifies how the organization competes for cotton’s profitability in an often-uncertain market, whether locally or around the world, and is supported by a grant to The Cotton Foundation by Monsanto. Twelve individuals were selected from the entire nation to participate in this year’s class, including two hard working and devoted members of the PCCA family. a multi-generational farming family, Jayci Cave has always supported agriculture, and more specifically, cotton. 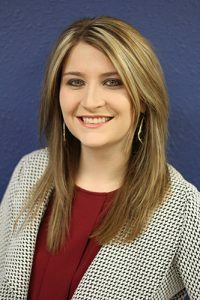 While earning her bachelor’s degree in agricultural communications at Texas Tech University, Cave was hired by PCCA as the communications intern in 2012. Now, almost five years later, Cave is a full-time member of the PCCA staff and holds the title of Communications Manager. Currently, she is earning her master’s degree in agricultural and applied economics from Texas Tech and plans to graduate in December. Cave said growing up on a cotton farm is what inspired her to begin her agricultural education journey and make it come to fruition today. After learning of her nomination to the Emerging Leaders Program, Cave said she felt honored to be considered for such an opportunity and is looking forward to expanding her network through meeting new people in the industry. The Communications Manager also plans to use the experience to enhance her work at PCCA. Kevin Brinkley, PCCA President and CEO, said Cave is the type of advocate the industry needs. 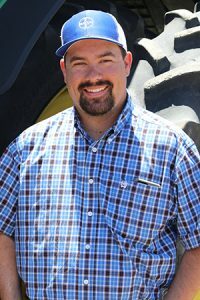 his agronomy degree from Texas Tech University in 2012, started farming in 2013, and carries out his passion today. Along with being passionate about agriculture, Fennell said being nominated for the Emerging Leaders Program was an excellent opportunity to learn something new. Fennell said he is most looking forward to gaining a new perspective from the program and creating networks. Fennell said participating in the program also will add to his agricultural advocacy efforts. “It can be little things or it can be big things like this Emerging Leaders Program,” he said. “We see new avenues such as this to tell the story of agriculture and what you are doing. Even in a farming community you would be surprised how many people don’t know what you are actually doing out there in the field.” Brinkley also commented on Fennell’s dedication to the cotton industry and telling its story. Participants from each sector of the cotton industry were selected to participate in this year’s Emerging Leaders Program: Fennell, one of five in the nation to represent cotton producers; and Cave, the only one chosen to represent cooperatives. Both young professionals are heading toward bright futures and experiences that will serve them well in their respective careers. The U.S. cotton industry infrastructure and the issues affecting the industry’s economic well-being. The NCC’s programs and policy development and implementation process. Cotton Council International’s activities aimed at developing and maintaining export markets for U.S. cotton, manufactured cotton products and cottonseed products. In addition to learning about all things cotton, the new Emerging Leaders also will have the opportunity to travel the country on three trips. Having already been to Memphis and St. Louis in June 2017, they will later travel to the NCC annual meeting in February 2018 and to Washington, D.C. at a later date in 2018.